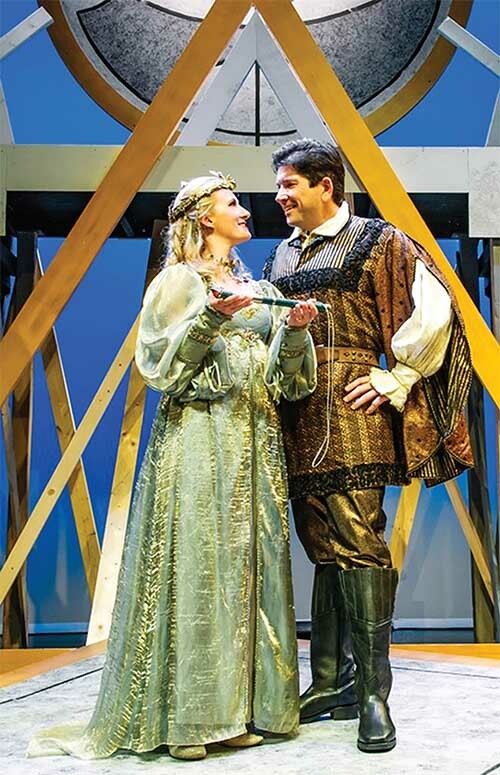 Now in its twelfth season, the SPO requires housing for 18-20 guest artists for each of its four mainstage productions throughout the year. Singers are typically in town for four-to-six weeks or longer, depending on the performance or whether they’re part of SPO’s Emerging Artist program. Even behind-the-scenes talent – including makeup artists, costumers, stage managers, and the stage director – will often travel in from elsewhere and often require housing for one-to-four weeks. Susie Hellman Spatafora, associate director of development for SPO – and a talented opera singer herself – coordinates the host families and guest artists. 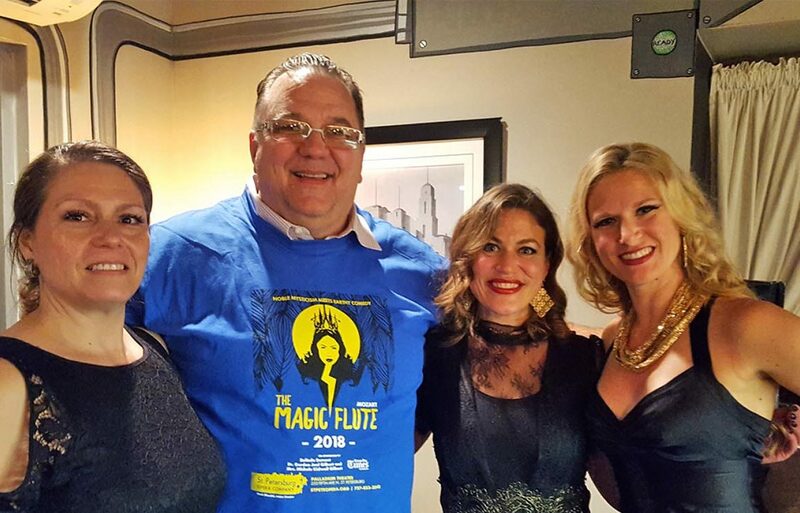 Old Northeast residents Cecelia Messina and Douglas O’Dowd have housed three artists: Lara Lynn McGill and Kelli Butler, who are performing in SPO’s most recent production of Mozart’s The Magic Flute, and Stéphanie Lessard, who was in Faust last fall. Doug and Cecelia attended the opening-night performance and the after-party at the Hollander Hotel. They had a blast. They overheard Susie talking about the need for host homes for the artists, and they immediately volunteered. Housing can be provided in an off-season cottage, a condo, apartment, garage apartment, or spare bedroom. According to Susie, it doesn’t have to be fancy, just functional. There is no requirement to provide guests with food, transportation, or cleaning, nor to socialize or entertain them. Likewise, as Susie points out, they are mostly at home to rest and should not be expected to perform for the host family. That being said, however, if the host family is amenable, the singers do enjoy rehearsing at home on occasion. Emily and Tash Elwyn of the Old Northeast moved to St. Petersburg in 2006. 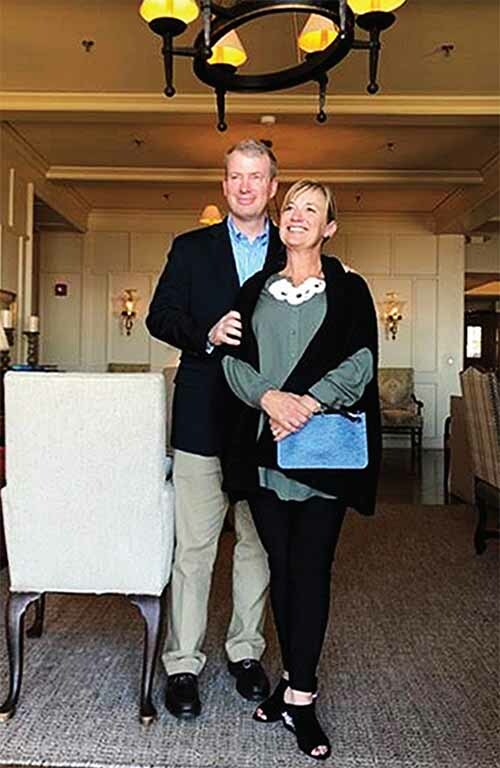 The couple enjoyed attending the opera when they lived in Atlanta, where they went to school at Emory University. One of Tash’s friends from school is now a professional opera singer. Emily volunteered with the Atlanta Opera’s wig and makeup department. They also enjoyed the opera in Chattanooga, where they lived prior to St. Pete. Upon moving here, they quickly became involved with SPO and housed guest artists in their garage apartment. Now Tash serves on the board of SPO. Housing guest artists with local families provides a huge cost savings to SPO. Instead of having to pay for hotel rooms, it allows the SPO to keep their artists’ pay competitive and to keep the budgets for their operas (one of the most expensive art forms) under control. Many hosts are retired or empty nesters who enjoy having a vibrant, youthful presence in the house. 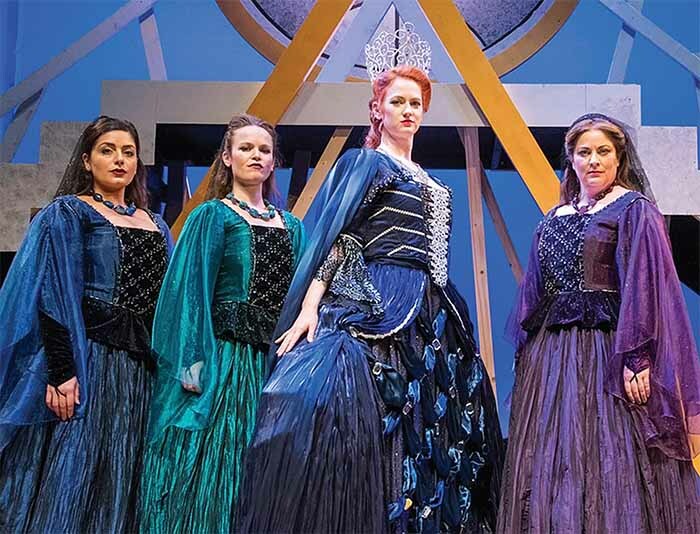 Several singers are younger and up-and-coming in their opera careers, especially if they’re part of SPO’s award-winning Emerging Artists program. SPO will be in need of additional host families in June. If housing is not for you, you can volunteer or contribute in other ways: providing transportation, volunteering for shows, or other opportunities. The only members of the Opera Company who typically don’t need housing are the chorus members and the orchestra. The orchestra is primarily made up of members of the Florida Orchestra and Sarasota Orchestra, although there are some independent musicians locally and from out of town. While they’re here, singers are kept busy, not just with rehearsals. They travel to area schools and introduce opera to a variety of students in middle schools and high schools. They also perform in special events for children, such as the Pinocchio performance for third graders last year. Additionally, they are ambassadors in the community for opera and for SPO. Special performances in the community introduce new and diverse audiences to opera, such as the Cocktails with the Maestro series at the Iberian Rooster, which offers a ‘highlights’ version of upcoming operas along with a summary of the opera’s story. Verdi’s La Traviata will be performed in June. Come enjoy!